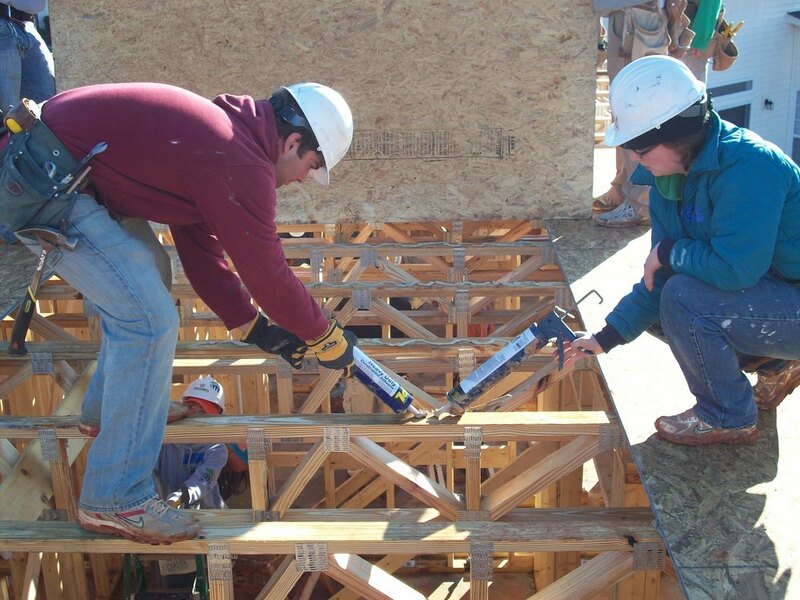 Habitat for Humanity of Charlotte 2008 - 2010. Worked alongside in-process homebuyers and volunteers to build homes in partnership. Led volunteer crews in all stages of single family home building. Gluing subfloor down. AmeriCorps Construction member. Each AmeriCorps member is paired with at least one other AmeriCorps member, balancing experience and gender where possible. Each partnership works with a supervisor on staff to manage on average 3 homes at different stages of the construction process. Wall raising. AmeriCorps Construction member. Framing might be the most photogenic task, but work days also include sheathing, siding, roofing, drywall, trim and paint. After two years of AmeriCorps, E.Dallmeyer was hired onto staff as the Grant Manager managing over $500,000 of federal and local grants per year. One of four trip leaders leading 26 riders from Providence, RI to Seattle, WA in the summer of 2007. Raised over $4,000 individually to pool with trip fundraising to grant to affordable housing organizations across the country. Responsibilities as leader included soliciting grant applications for the funding we raised, securing hosts, meals and showers for 1/4 of the 9 week trip, helping riders to prepare and managing all rider and host needs during trip. All 30 riders and leaders together on the first day of riding. The route is shown on the upper left. Riding East to West does mean that you ride against the wind a lot, but when it is at your back there is nothing like it.